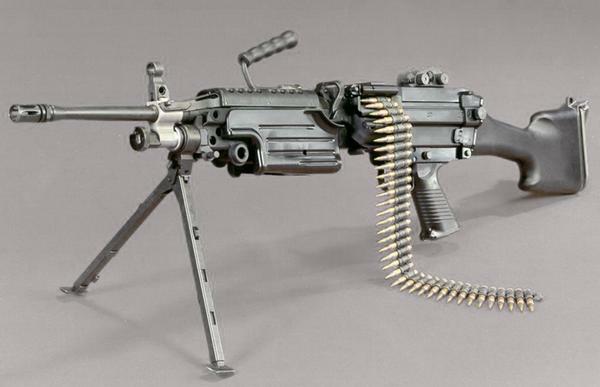 When working on firearms, it’s important to have the right tools for the job. 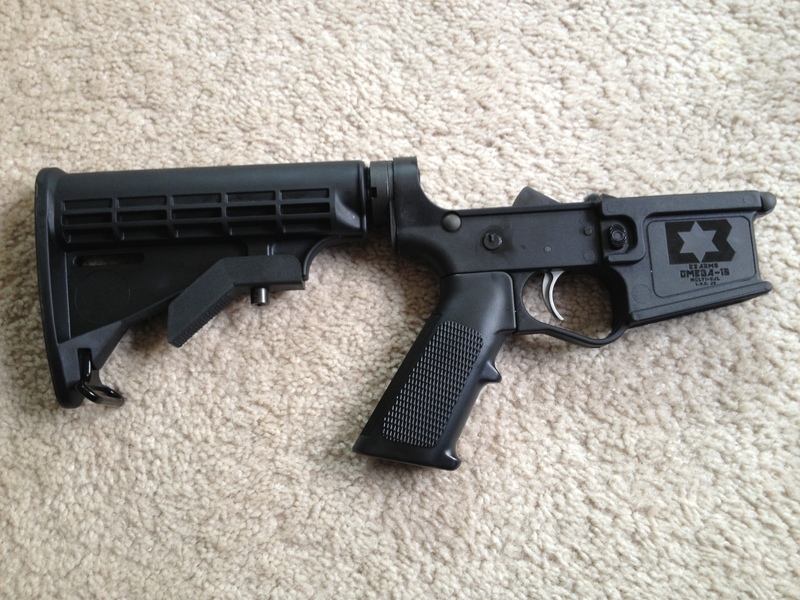 For pistol work, I’ve been using the Polymer Armorer Block from Apex Tactical Specialties. 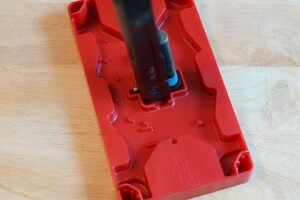 In addition to the block, I’ve also been using the Polymer Armorers Tray and Pin Punch. 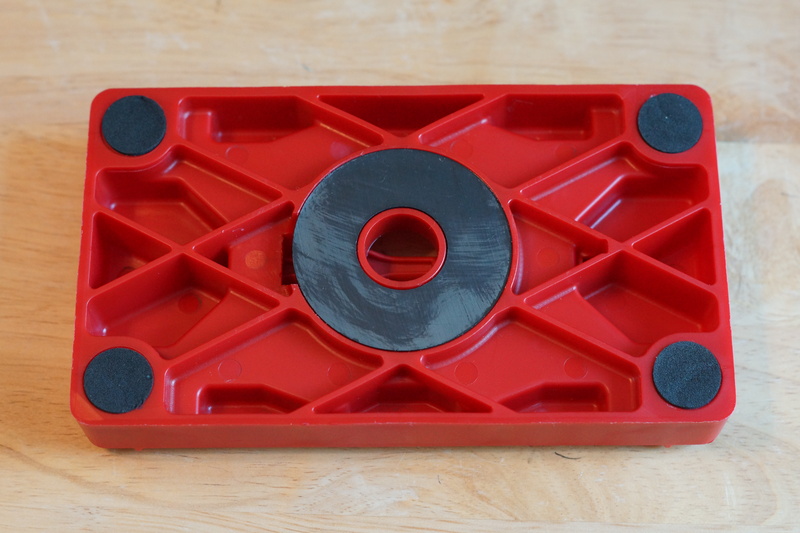 This tray offers a number of features that make it a great addition for the tool box. The red polymer construction combines practicality with a well thought-out design. 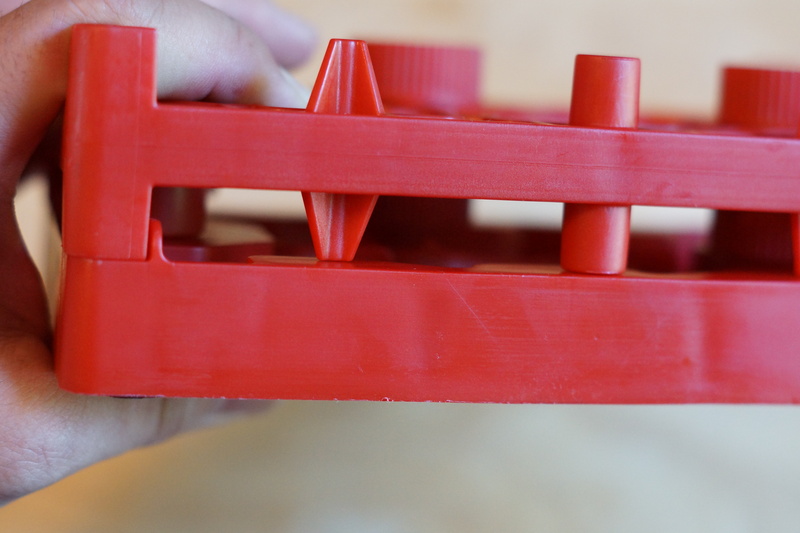 To start, it matches and fits together well with either side of their armorers block, securing in place in the four corners and providing multiple areas that support the block. 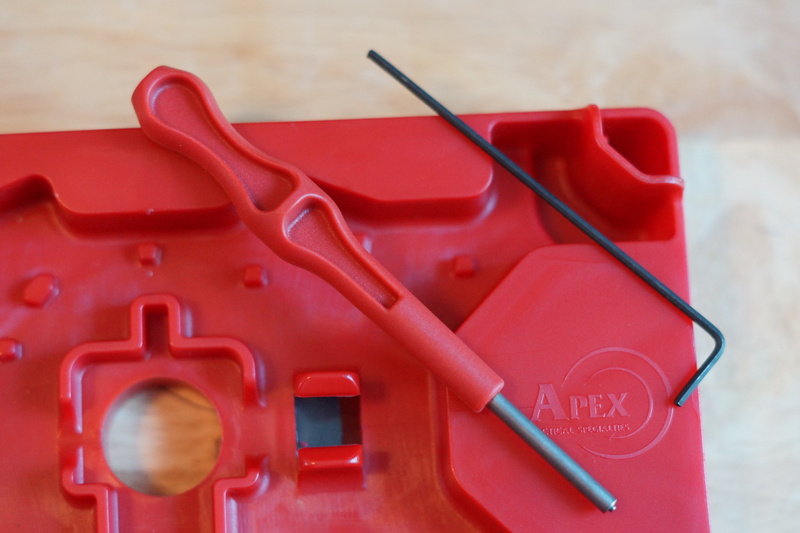 The center of the tray is designed to hold a 1/8″ roll pin punch and 1/16″ hex wrench (both included and good quality), and provides a storage space for the Talon Tactical sight tool which is not included with the block, but included with select action enhancement kits. 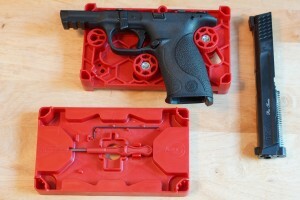 These storage features are an outstanding and innovative, as they keep the tools you need together for work on the Smith and Wesson M&P and the Glock series of pistols. 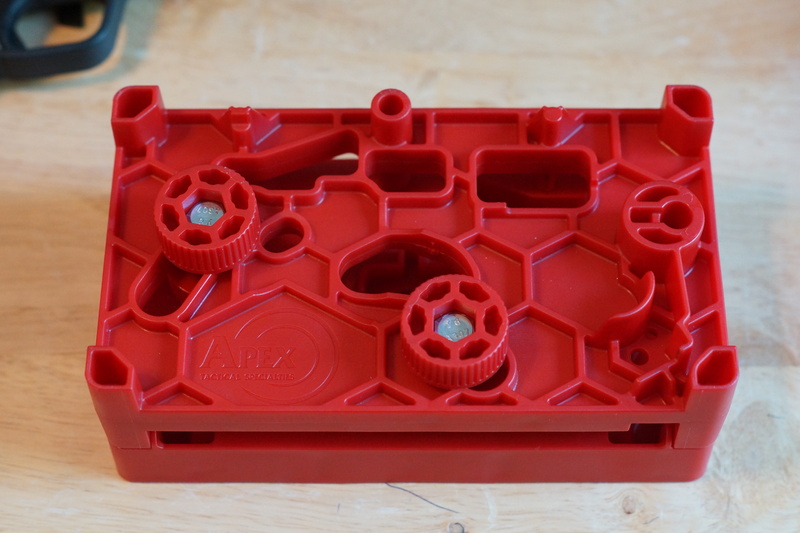 Also in the center of the tray is a raised profile to hold the front of the slide when removing the rear plate. The hole in the middle is especially useful for holding the barrel when working on feed ramps. Paired with the armorer block, the armorer tray makes working on the M&P and Glock pistol lines more efficient. The armorer tray and block mate together well. The design provides a lot of support for the block, and keeps both pieces together well. Included are a 1/8″ pin punch and 1/16″ hex wrench. The tools are durable, and of good quality. 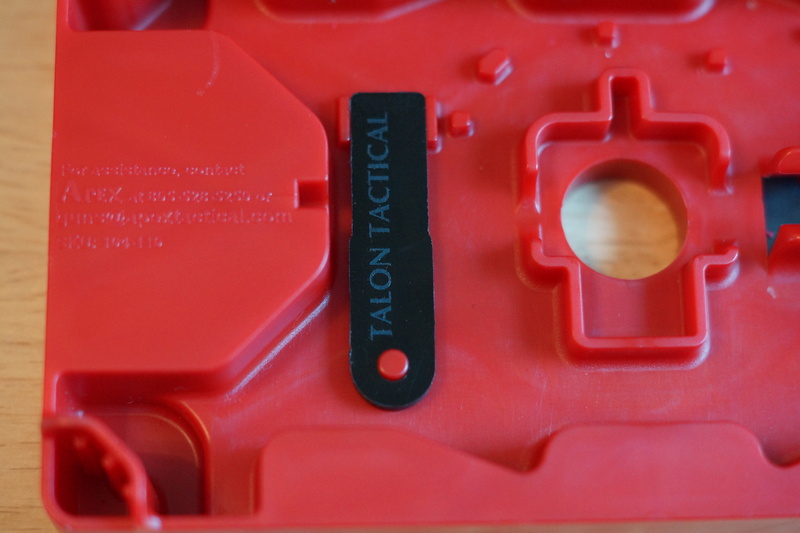 Although not included, the armorer tray has a storage slot for the Talon Tactical sight tool. 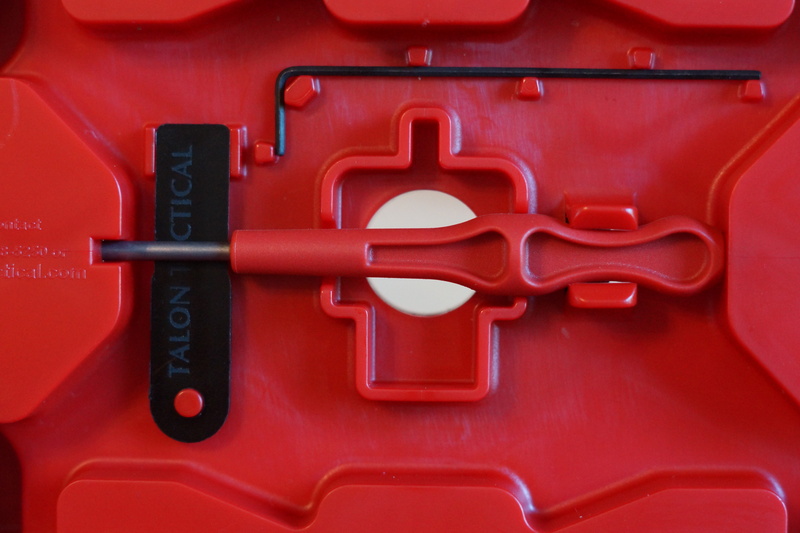 The tray keeps all the tools securely stowed, and easily accessible. The formation in the center is useful when working on the slides, barrels, and slide plates. The underside of the tray has a large round magnet imbedded, which causes small parts to stick to the top of the tray. Great for retaining pins that are punched out, I also use this when I need to retain parts for any firearms. The four corners contain non-skid pads that slightly elevate the tray off the work surface, and absorb some of the shock from driving pins. The underside of the tray features a large magnet, and non-skid feet. 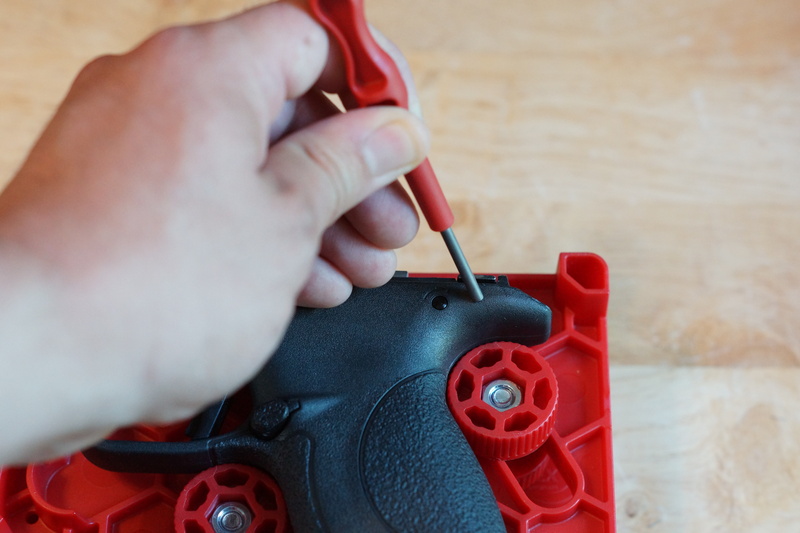 Small parts and pins are easily retained thanks to the design. As you can see, the features included in this product are useful and can’t be beat at the affordable price of $24.95. 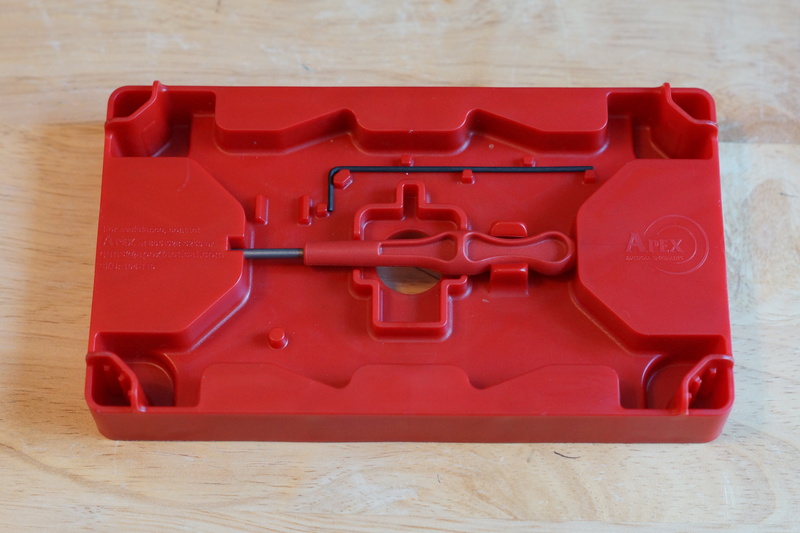 I’ve used this armorers tray for a number of jobs, and I couldn’t be happier. 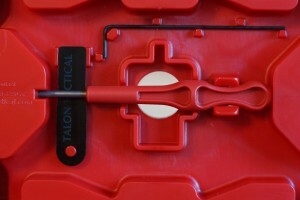 It’s durable, and fills a specific niche in my armory tool box. Besides the fact that it comes with two frequently used tools, my favorite feature is that it retains small parts. This allows me to drive out pins, remove springs, and keep working without interruption. Let’s face it, nothing’s worse than loosing a small and/or critical part and having to wait for a replacement to arrive. 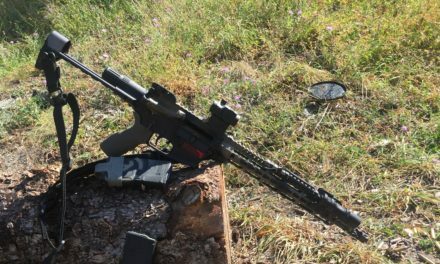 Apex Tactical Specialties never ceases to impress me with their products, and I recommend this one to anyone who has their armorers block.